Double-ended, straight shafts, curved 5mm x 10mm loop, smooth loop, 10mm wide muscle/expressor hook. Round handle. 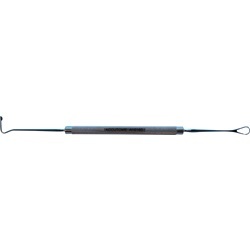 Overall length: 155mm.